Dogs welcome in the bar area and a dog friendly room is also available. Down Royal is a family friendly Country Pub. Dogs Welcome. The Sunflower Public House is a hub of live music in Belfast city centre. Located right behind Belfast Central Library it is a 5 minute stroll from the heart of the Cathedral Quarter. 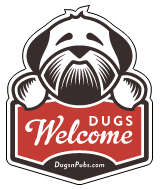 There are a total of 19 dog friendly listings in the NI Pubs category. Please log in, or sign up as a member to view all listings.